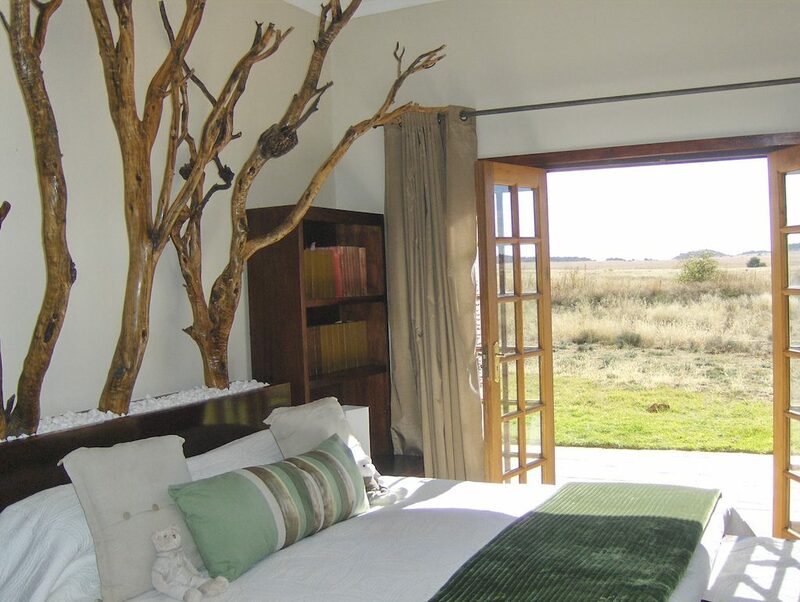 This suite is equipped with a king size or 2 single beds and lounge. 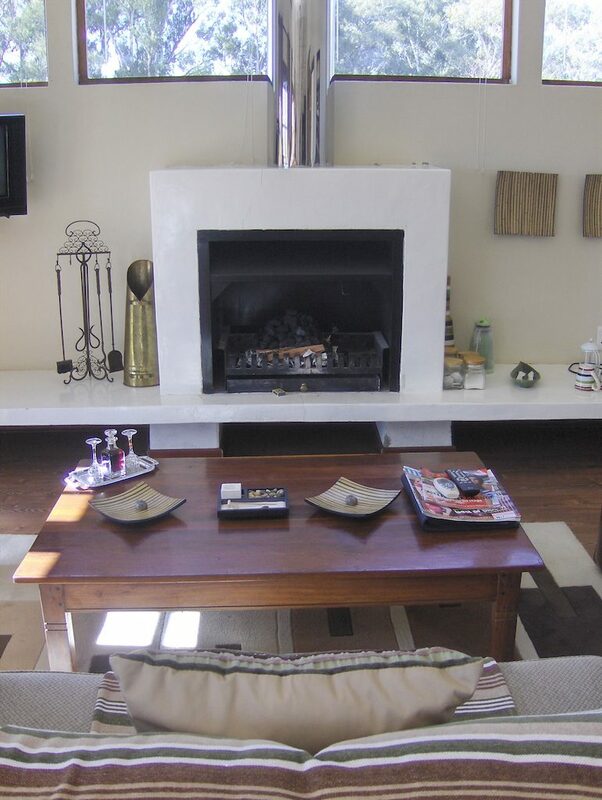 Enjoy a CaffItaly in front of the open fireplace or a sundowner on the private veranda while utilising the free WiFi. 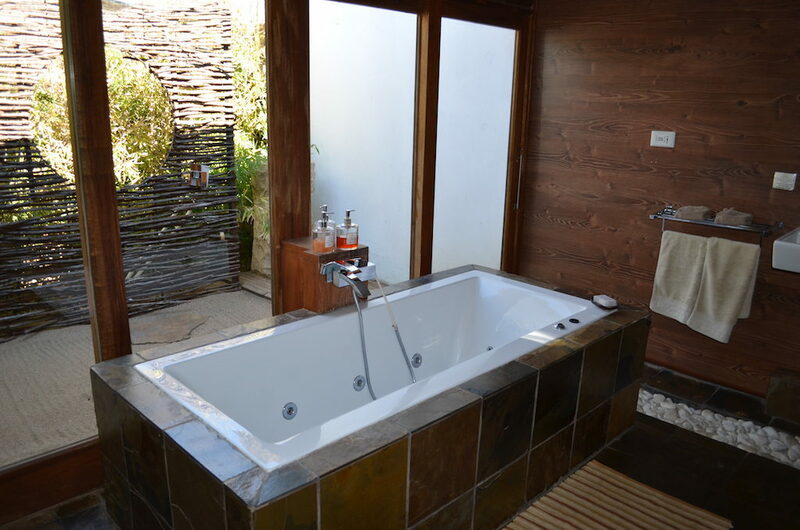 The en-suite bathroom is equipped with an inside spa bath, WC, and both an inside and outside shower. Breakfast included in room price. 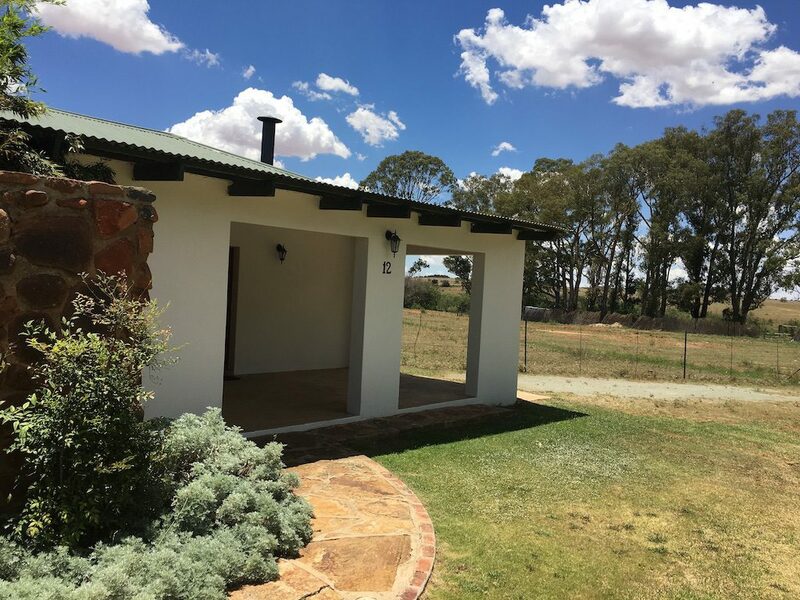 The four windows facing west is a living painting represented by the row of Bluegum trees in the sky line. Late afternoon sun shining on the bark and leaves shows the replication of colours in the room’s décor and peacefulness of the bathroom. Beautiful view of the farm.